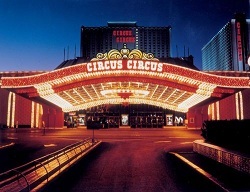 You must be flexible in your travel plans in order to get a cheap rate on a Vegas Hotel room. That doesn’t mean that you have to be completely flexible but at least on some points. For instance if you are flexible in the date you will arrive and depart then you are going to save the most money. If you have no flexibility in your date then you need to be flexible in where you are going to stay and maybe even picking two or three hotels during your stay. All were 30 percent less in price last week than they are next week. Most of this is based on Occupancy or expected occupancy like a large convention, sporting events or major Holiday. Avoid all of those if possible. Hotel rooms are cheapest in Vegas when the weather is extremely hot. Rooms are most expensive at New Years, Super bowl weekend, March Madness and the major conventions like the Electronics show and the adult entertainment show. Vegas Hotel rooms are always more expensive on Friday and Saturday night all year around so if you can Travel Sunday through Thursday you will save a lot of money. You can always be sure to pay more during football season and not necessarily because of football fans but because that’s when the weather is most comfortable. Check Vegas Weather If you are not flexible in your dates at all then you can still save money if you do a little work and are willing to move around to different hotels during your stay. If you are only staying a night or two then just find the best price for that one or two days but in this case check rates for at least 10 hotels that you would like stay in. If you are staying four or more days you can save money by playing around with the dates at different hotels. For instance if you are staying 7 days and you pick one hotel you are going to pay way more than if you stayed 3 days there and 4 days elsewhere, in fact in most cases you can even book the same hotel in two bookings and save money. 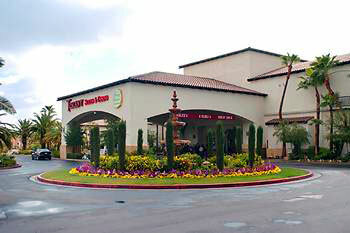 A longer stay doesn’t mean you pay less per night, in fact Las Vegas Hotels don’t want long time guest. 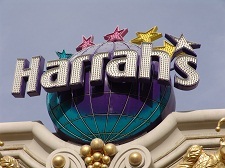 The rooms are discounted in order to get guest to stay there then gamble there. Why else can you stay at Hooters cheaper then the Value Inn right next door? 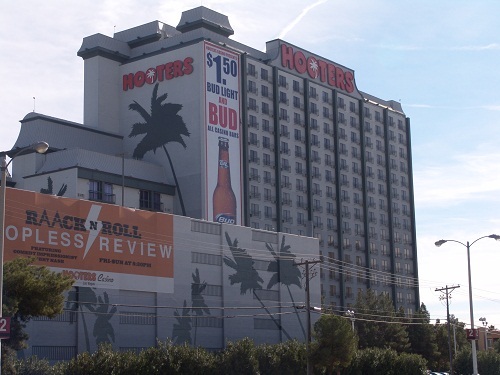 The answer is the Value Inn has to make money renting rooms and Hooters can get you in the Casino. More than a 4 day stay: If you only want to stay in a certain Hotel check the rate for the whole trip then check the rate for the first two or three days then the rate for the next two or three days until you are at the end of you stay. You will be shocked how much lower at 2 or 3 day rate is, those are the people that the Hotel/Casino want. If you want to book your room like this you have to do a little work (maybe). I did this at Bally’s and when I checked in I told them I had two reservations back to back for a total of 5 nights and the Clerk said no problem I will “Marry” them and You don’t need to do anything. Perfect!! Then I moved to Silver Sevens Where I had one reservation for 3 nights but liked it so much that I played around with the next few days on the rates and booked two more reservations. Unlike Ballys, Silver Sevens made me check out and check back in each time but let me keep my same room. They actually deactivated my room key and gave me new ones each time. Some Hotel/Casinos offer 3rd or 4th night free, be sure you make your plans to use that free night on the most expensive day. Always book so that the last night is a Friday or Saturday. Circus Circus has been running this special all year, but I am sure it wont be available during peak times. Hooters is a rare find for most People. 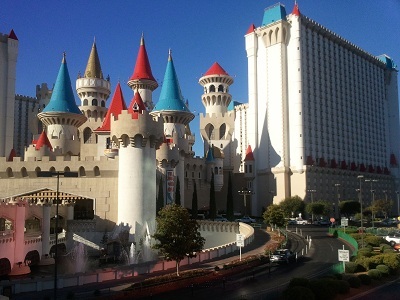 Its not very well known but You will be surprised how nice it is and it is often the lowest priced hotel in Las Vegas. see Hooters Room Rates. 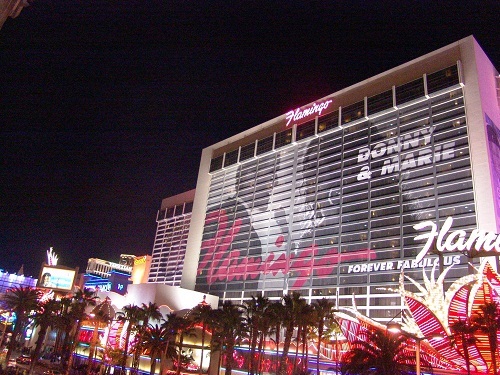 Flamingo is located at center strip right in the middle of the action and is very affordable. 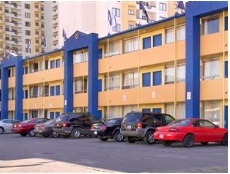 Check Flamingo Hotel Room Rates. Yes!! Of course everyone has heard that Casino's give rooms to high rollers, right? How about an average player? Yes, They do. If you have been to Vegas previously and signed up for a players card you might already have a free room or a discounted room coming to you. Its easy to check, find your players card and call the number on the back and ask for the Casino Host, They will ask you for your players card number (front of card) and tell you if you are eligible for a free room or a discounted room. But before you do that check the price of all Las Vegas Hotels, then you will know the true discount price of the room so when They tell you They can discount the room to 49 dollars and You already know you can get it for 36 dollars here you won't make that mistake of booking it with Them.